I consider this post an introduction to an idea that will function as an overarching principle for how Triple Helix Creative, LLC conducts business. It is a philosophy of sorts, but it is also a clear, terse command that we seek to obey in Triple Helix. The orthodox stance of our industry is that we are in the business of producing content for clients.  Instead, Triple Helix partners with clients, so they become co-content producers with and alongside us. The key is partnership. Humans tend to employ sharper measures of judgment when they take the step beyond "association" to "partnership". The issue is one of exclusivity. Some would argue that by seeking to "love" clients, a business is transgressing the boundaries of business and personal. But I see crossing these boundaries as essential, if I am to be honest with myself. Part of being honest with myself is admitting that I have the temptation to see clients as living, breathing dollar signs, instead of living, breathing people. How do we overcome this? The Way forward is NOT a supposed objectivity. "Well I will just be fair, balanaced, and objective. I will have rules in place I don't violate." The problem (as always in life) are the gray areas. This may work in the realm of ideas, but business thrusts us into real life, and life in business is real hard. Being your client's advocate, instead of simply not trying to be their obstacle. If it is within your power to add a feature that suits your clients agenda in a way that is better than the currently contracted work, AND THEY HAVE NOT EVEN THOUGHT OF IT, present the idea to them over a phone call, and see if they are willing to amend the contract. If a client doesn't really need a feature in their web campaign, TELL THEM SO. If you don't, who will? Expending energy to consult and correctly inform your client, rather than simply avoiding the temptation to misinform them. When your client (obviously) has no idea what is really behind the underlying codebase of a website you are building, but is expressing concern/suspicion TAKE THE TIME TO TRUTHFULLY EXPLAIN WHY build decisions were made. Do not just cryptically communicate WHAT your are doing for your client, be consistent in telling them WHY; offering a rationale demonstrates that you have one to begin with, and fosters mutual trust. Be sure to communicate clear, achievable goals with measurable results. This will help you to avoid the temptation to tickle your client's ears with empty speech. Being transparent about your subjective aims, instead of crossing your fingers and hoping your agendas (much like the stars in this situation) will align. We are in business, and we do so to provide financial means for those we deem necessary. I have found clients to respect upfront intentions communicated outright much more than finding out later that my agenda was being served as well as theirs. Part of ensuring that your clients are cared for well is to adopt the humble practice embodied in the phrase "Underpromise, Overdeliver." Too often we say what we think our clients want to hear. This may create the illusion of being loved in the short term, but the long term will inevitably result in dissatisfaction from overpromsing and under-delivering. As I said eariler, this is just a very simplistic primer, an introduction to a philosophy we are seeking to fully embody in all of the services we offer at Triple Helix. More to come at a later date.